Savli Resort Shriwardhan | In the heart of Shriwardhan, Savli Resort is the perfect place for arranging group picnics, team building getaways or simply a weekend retreat. Diveagar is situated on the grand Arabic sea. Diveagar is one of the best beachside villages along the Konkan coast in Raigad district. Diveagar Beach is located approximately 170 kilometers south of Mumbai. The beach is accessible from the Mumbai-Goa highway (via Kolad or Karnala). It is also close to Shrivardhan and Harihareshwar beach (approximately 1.5 km). Diveagar beach is or approximately 6 kilometers long. At one end of the beach is a fishing settlement, while the other end has a sanctuary of migratory seagulls. The sunset seems to be the most pleasing scene here. The place has got untouched natural views. The beach contains a number of Suru trees (Casuarina), which are common to coastalMaharashtra. The access to the beach has a dense cover of Belu trees, which are otherwise uncommon in the area. The place has got coconut tree cultivations. Starfish are observed here on shore in winters, whereas crabs can be seen in summers. Also creepers like ipomoea biloba can be seen. Rickshaws and Six Seaters are available for travel between Srivardhan and Harihareshwar. And also Maharashtra state transport buses available. Shrivardhan is well connected to all neighboring cities by Government owned buses. 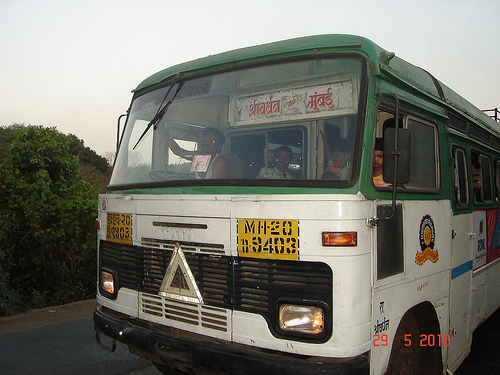 Buses connect Mumbai (185 km), Pune (163 km), Harihareshwar (20 km) and Panvel (125 km). Nearest railhead is Mangaon, which is 45 km away from Shrivardhan and this railway station in Konkan rail is well connected to Pune and Mumbai.